The strange thing is that it’s so hard to find houses with them any more. In our entire neighborhood, a subdivision less than 7 years old, there are only a handful of houses that have them. 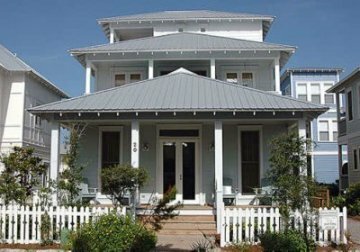 When we built ours, we paid the builder extra to change the front elevation and add a porch because I couldn’t live without one. I keep hearing about a “porch revival,” but around here, at least, builders haven’t gotten the memo. 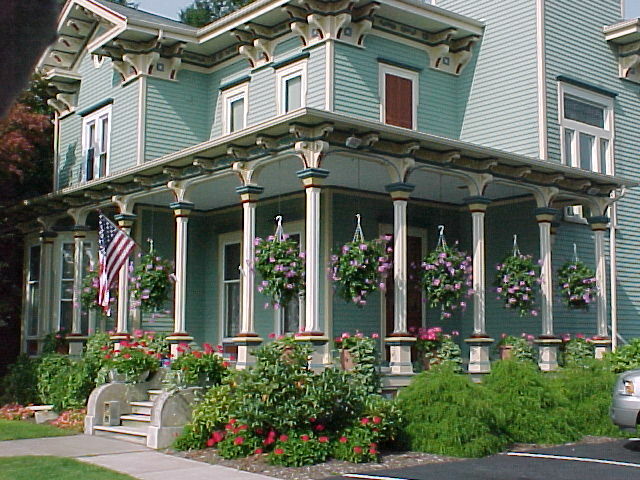 Here are some of the photos I’ve gathered of porches I like. 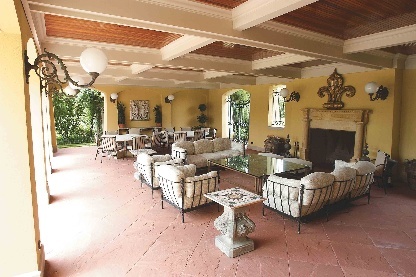 I hope this provides you with a little inspiration to either build a porch of your own or decorate–and appreciate!–the one you have. 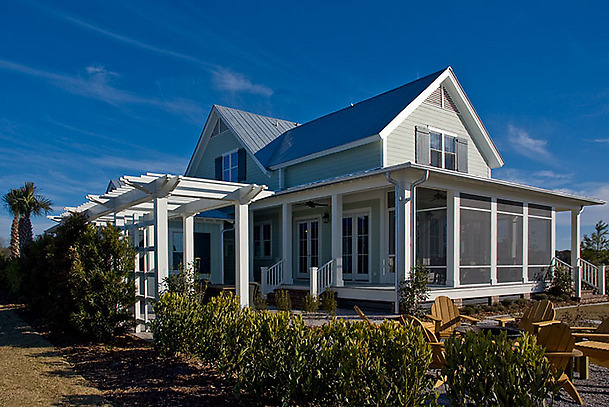 The HGTV Green Home ’08 is surrounded by porches on all sides (to see an interior tour of this beautiful home, click here). 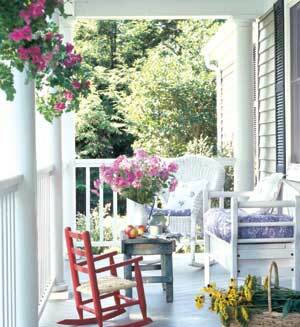 See some of my favorite porches here: Front Porch Love. 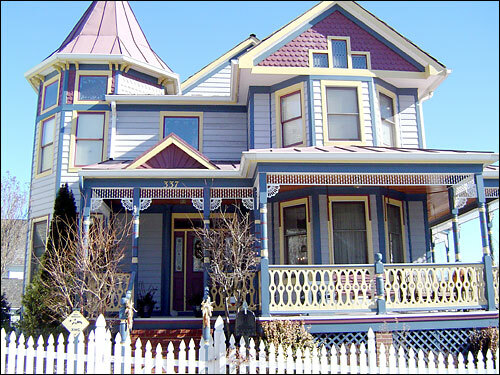 Beautiful examples of porches! 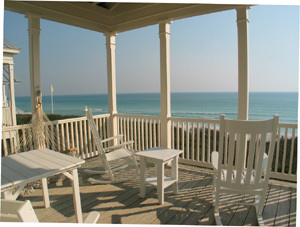 I’ve only had one porch in my adult life, but I really loved it. Dreaming now of someday!! I’d like a rocking chair and some lemonade to go with that porch. You know I’m all about the porches! My dream is that when we get a house, we’ll have a front porch and a screened in back porch so that the cats will get to enjoy a bit more of the outside. They’ve put up with apartment living for far too long. 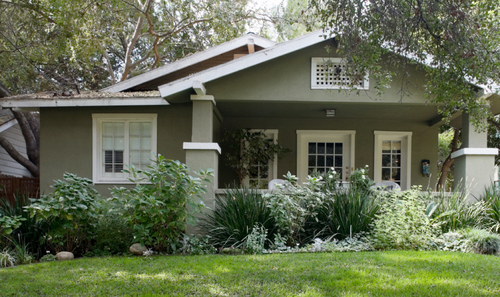 Craftsman = my favorite. Such pleasant looking homes. 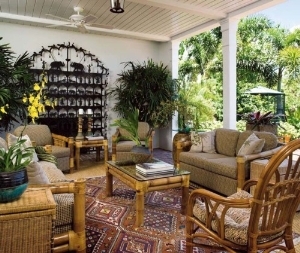 Nice roundup of porches! 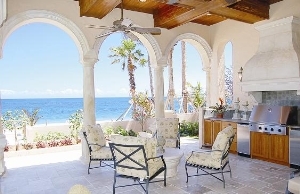 I heard that air conditioning was sort of the death knell of porches, which I’d sad. 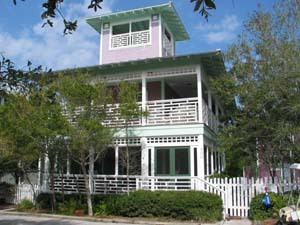 We have a back screened porch and deck, but they’re behind a privacy fence, so require us to invite people over. 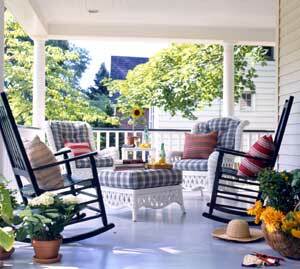 We’ve often talked about adding something in the front so the socializing could be more spontaneous; when you have a porch, people just show up. It’s a really nice community concept. We have the same weather here in Toronto so I’m looking forward to ‘porch season’ as well. I have to settle for sitting on my back deck though which at the moment looks more like an old cottage deck. Wish I had one of those Hawaiian lanais you featured. Hi right back to ya julia! 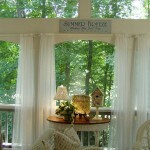 I love my porches! I alternate from front to back depending on what I want to look at. 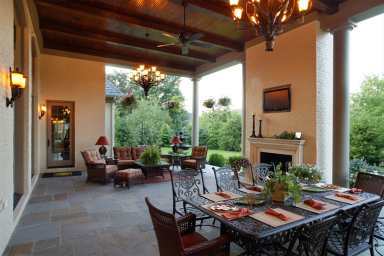 I think a porch is a must have for the southern lifestyle, and for us is our second family room. Y’all come on down, we’ll be waiting for y’all in our rocking chairs! TraceyB, I wish I was back in Destin with you right now! I’m dying to see your new house and new porches. The day after I posted this, we got amazingly warm weather (it was nearly 60 yesterday!). The snow began to melt. I was so excited that I immediately headed outside to sit on my porch swing with the book I’m reading (“The House Always Wins”–look for a review of it and a giveaway next week) when I remembered that Dave had taken the swing down for the winter. It was still in the basement (and I had no desire to read down there). 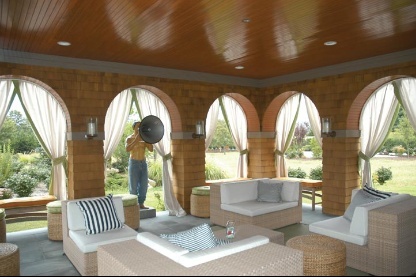 Getting the swing back up on the porch will have to be job #1 this weekend, just in case we get another warm day soon! Delightful article and so true. My humble deck is visible again and waiting for spring sunshine. 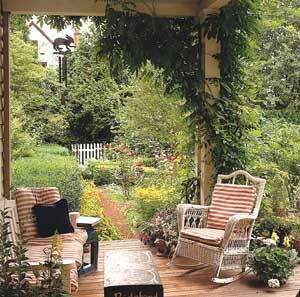 I love a good porch. These are lovely examples! 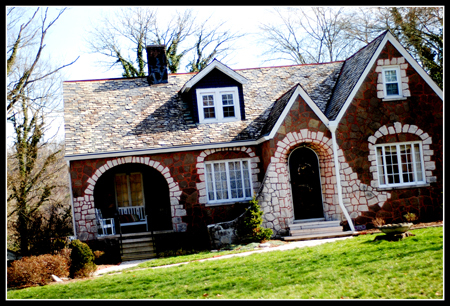 The Craftman and Springtree Road houses are two home styles we’ve considered for our retirement home. We love both these styles. Now, if we could find one completely restored, that would be heaven, for two rather elderly folks. I love porches. 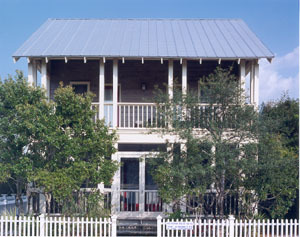 A house is nothing without a good porch. Living in an apartment, I sure do miss a porch! We just built a house with wrap around 8′ deep porch on all four sides and I can’t wait to move in! It’s out in the country on my husband’s grandparent’s land. 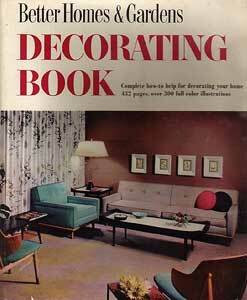 Thanks for your great pictures for ideas on how to decorate! 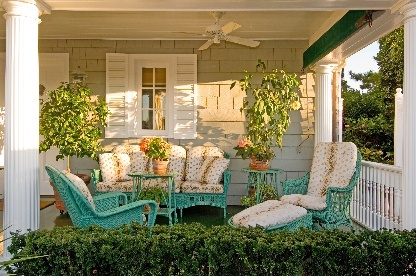 I love porches! What a fun post. 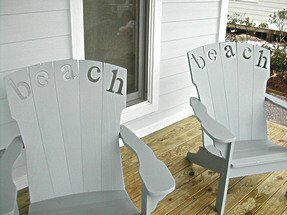 I love those “beach chairs”. I am sad I had such different style when we bought our home. It’s all brick & pretty formal. 🙁 TraceyB I loooove Destin! I can’t wait to go back & get a break from Chicago. I’m from south Wales in the U.K, and also love porches. We have virtually none in the U.K, so I’m interested to know how well porches work in the states that are further north and therefore have weather similar to ours in the U.K? What flooring is used? Do they get slippery in wet weather or snow? Or should they be left to those who are lucky enough to get year round sunshine?